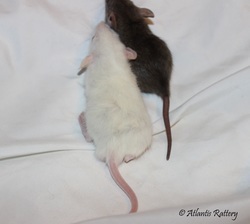 Dwarf rats are a great option for someone who isn't looking for the biggest caged pet they can find. Dwarf rats have many perks; severely decreased occurrence of tumors (almost never! ), they live longer, there's so much less cleanup & they look like babies forever! A full grown dwarf will fit in the palm of your hand; They are around the same size as an adult gerbil. Do be careful when purchasing a dwarf rat. Only buy from a reputable breeder, with a good background with dwarfs. 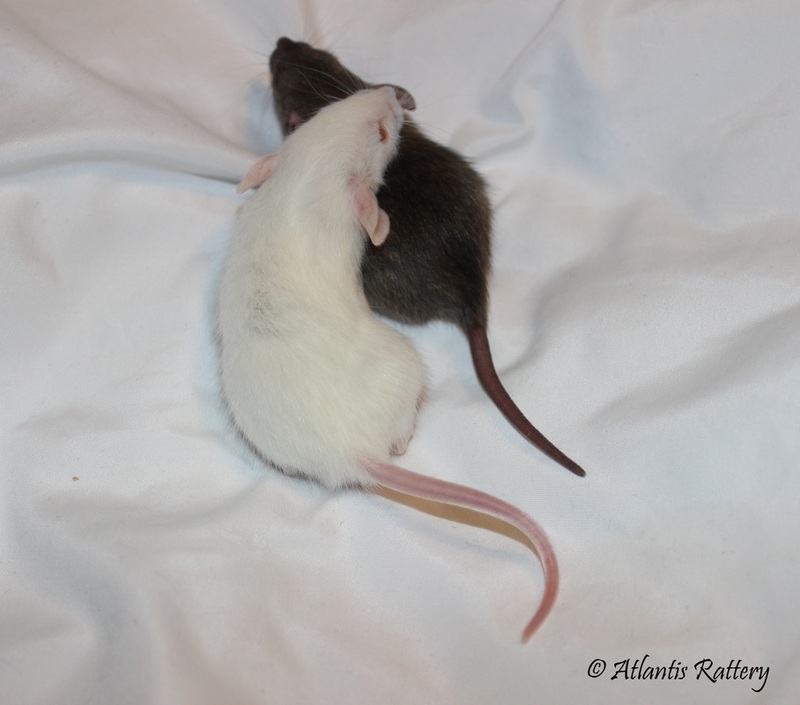 Many breeders are trying to pass off runts and unhealthy rats with a decreased rate of growth due to health reasons. Make sure you are getting genetic dwarf rats. You cannot breed rats to be smaller and smaller. Dwarf rats originated in the labs. Dwarf rats are very sweet. Their personalities are very similar to that of a full sized rat. I personally find the dwarfs to be calmer outside of the cage and much more comfortable to be held. They do seem to be more active in their cages, but I think this may just be the size of the cage in relation to their body. If you had a standard size rat in a cage of the same ratio, you would also see them running and jumping more. *also take note to the top photos. The head shape and size of the eyes in relation to the body are good identifiers of a dwarf.